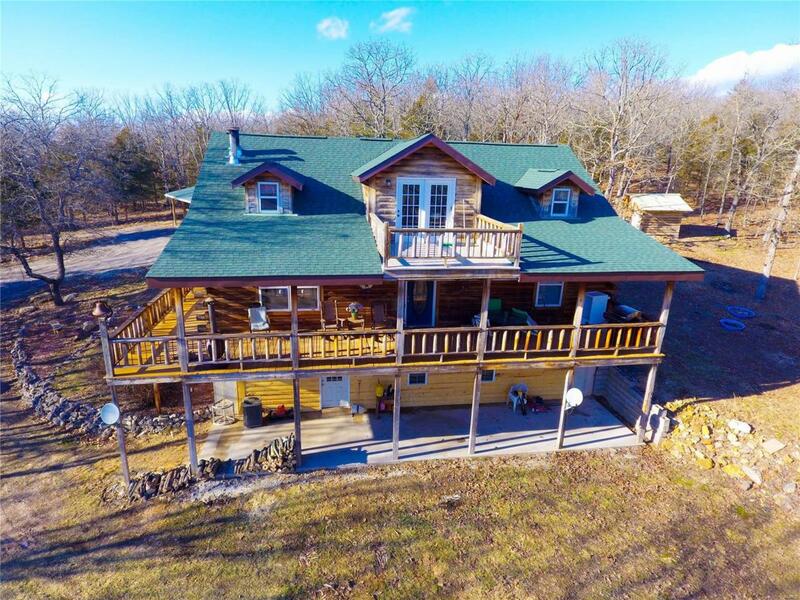 SO much space to get away from it all everyday in your very own custom log cabin on 19.69 acres! 3 bedrooms (possible 4th in basement, but no window or closet) 2.5 baths, formal dining space, wood burning fireplace in the living room, main floor master suite and so much more. 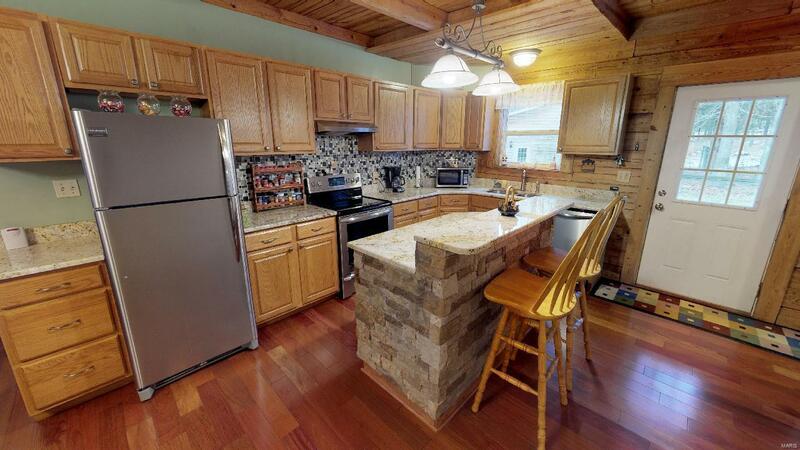 You will enjoy all the custom wood detailing inside - rafters, cathedral ceiling, custom stairs, etc. 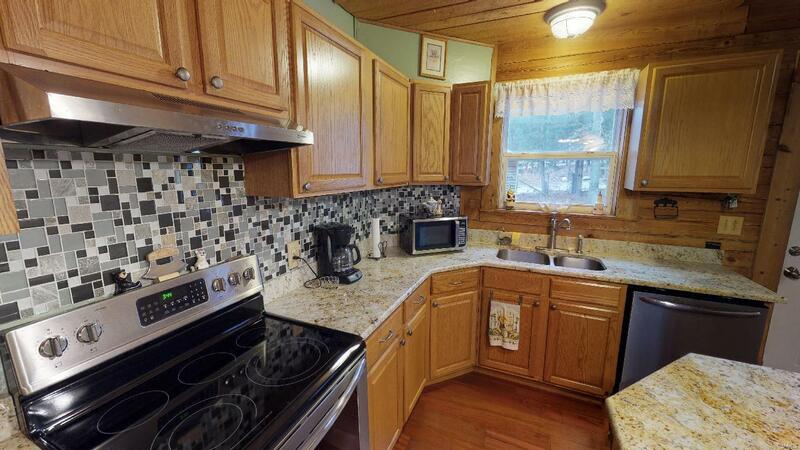 The kitchen has granite counters, stainless appliances, stone island accents and a great tile back splash. There's a walk-up pantry for more storage when you need it. 2 more spacious bedrooms upstairs just finished out by the sellers and a family room/possible 5th sleeping area if needed that walks out onto a balcony overlooking the property. 3-Car detached garage/outbuilding is 23x34 w/ carport that's 14x35. This property will take your breath away! Call to see today!